Re-styled by St Oswald’s Hospice offers a unique collection of upcycled furniture alongside a range of new retro-style and local artisan products, from funky record players and telephones to handmade soaps and knitted furnishings. 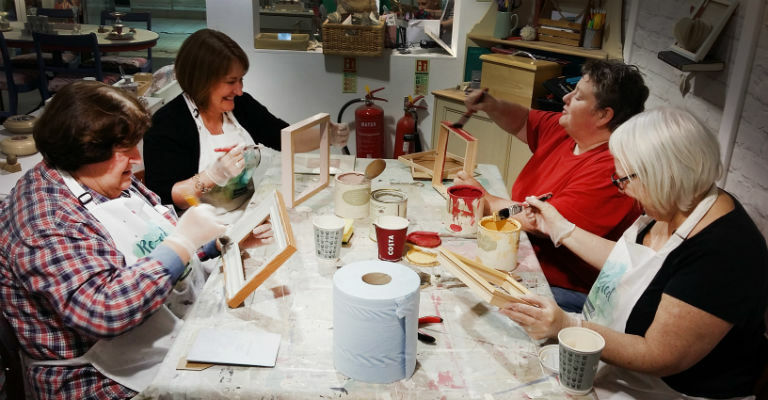 Each stylish shabby-chic creation started life as a donation to St Oswald’s Hospice before being lovingly hand-painted and repurposed by our skilled team. Using a range of specialist techniques and applications, pieces are transformed from ‘pre-loved’ to ‘re-loved’, often using the innovative, environmentally-friendly Everlong Superior Chalk Paint range, also stocked in store. All profits raised from our upcycled products directly fund St Oswald’s Hospice, which provides specialist care for adults, young people and children from across the North East.